Causes of vocal changes can run the gamut, from simple overuse to respiratory infections to other, ongoing health conditions. So it’s important to speak to your doctor if your voice changes to rule out any more serious conditions. Meanwhile, these five tips can help you protect your singing voice on a daily basis. Remember technique. The sound of the voice comes from the vocal cords vibrating together. Without the proper technique, the vocal cords can strain and slam together, resulting in injuries. 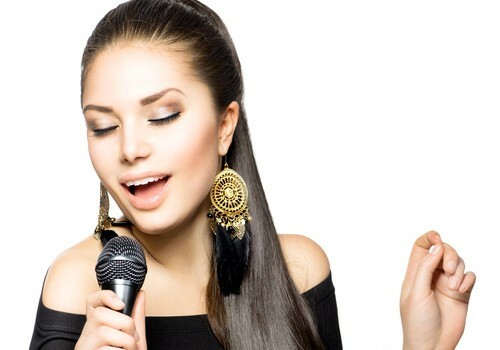 A vocal coach can help you hit the high notes without hurting the vocal cords in the process. Always warm up. Marathon runners stretch before they hit the pavement. Singers should warm up before exerting themselves, too. Stay hydrated. Drink a healthy amount of water, and limit intake of caffeinated beverages and alcohol. Discuss meds with your doctor. Certain medications can irritate or dry out the vocal cords, so chat with your doc to make sure your prescriptions aren’t introducing risk. Be safe when you’re not singing. Practice healthy vocal and breathing techniques even when you’re just talking. And try to limit the time you spend speaking in crowded, noisy places, which can encourage you to strain your voice. If you have any questions about protecting your singing voice — or nursing it back to health — be sure to make an appointment. Our trained professionals are here to help you find the right routine for your voice, your work and your lifestyle.